Fits the DP1 and DP10 Projection Attachments. 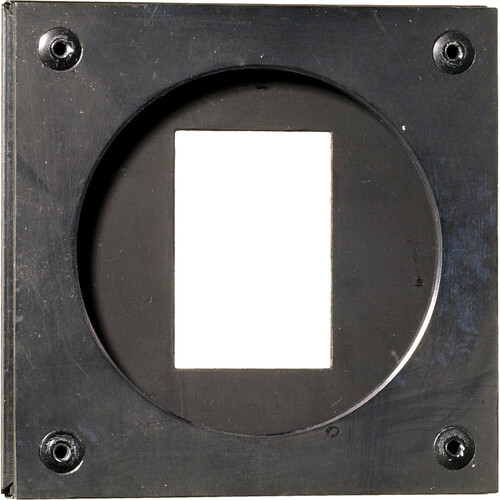 Holds a conventionally mounted 35mm slide (cardboard mounts are best), allowing the slide to be projected onto a set or background. The Heat Filter (DHF) should be used to prolong the life of the slide. Slides will fade if used continuously. The Slide Holder cannot be used with Dedolight 150 watt heads, because the heat and light generated will ruin the slide in a short period of time. Box Dimensions (LxWxH) 3.0 x 3.0 x 0.2"
Slide Holder for DP-1, DP1-0 is rated 3.0 out of 5 by 1.